We admire heroes and would aspire to become one who is rich and capable, like Tony Stark. Since we cannot have the latter, we can now carry miniature sized hero around with us. 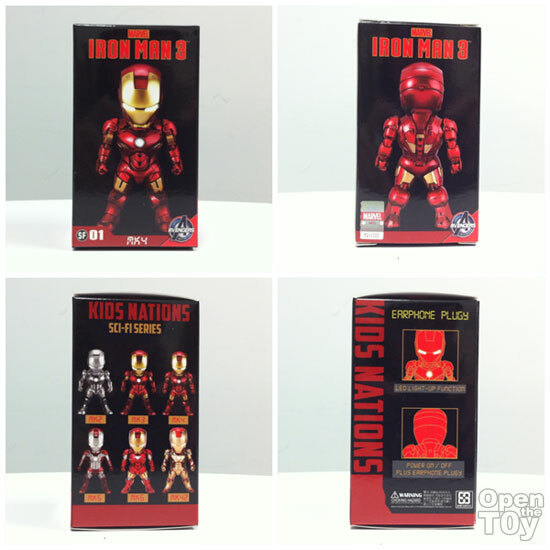 Kids Nations released a series of earphone plugys with deformed style IRON MAN figurines, based on the IRON MAN 3 movie. 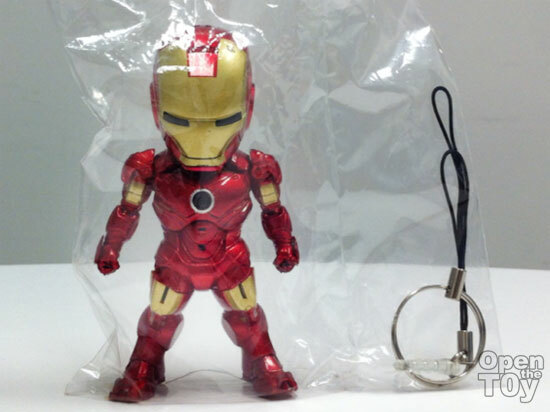 Today, we shall review the IRON MAN Mark IV earphone plugy figurine. This item comes in a stylish box with front and back pictures of the figurine. There is an official seal of license with Marvel's logo. 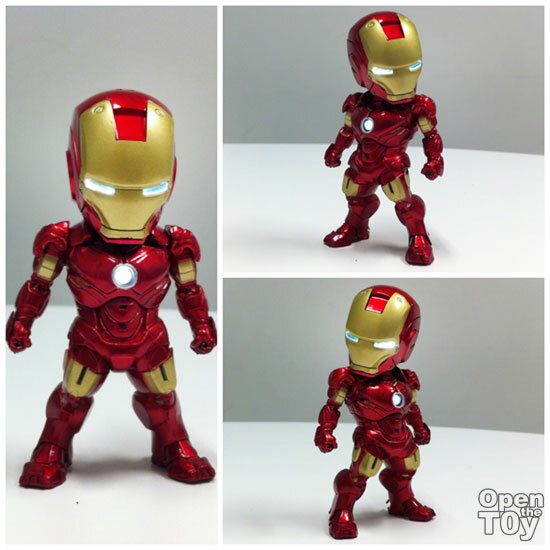 We also see images of the other IRON MAN figurine armors available in the same series. This is a LED light-up figurine. This is operated by an on-off switch located on the back of the figurine's head. Open up the box, you find the figurine inside a sealed plastic bag together with handphone lanyard string and plugy for your earphone jack. 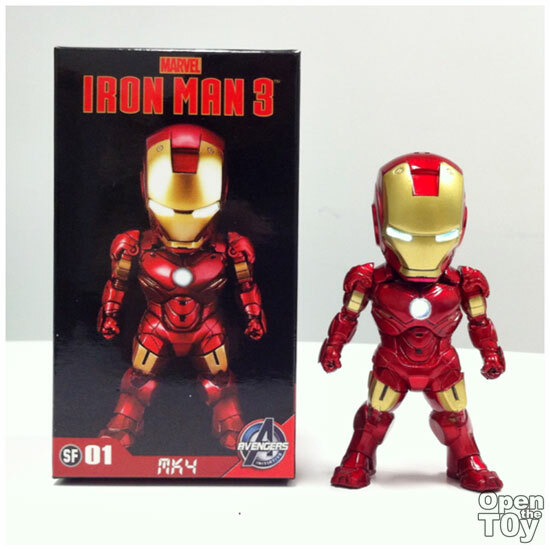 This IRON MAN figurine is a beauty. It is well-made and detailed. It is also painted very nicely with a semi-glossy finish. Switch on the LED light and you can see the eyes and chest piece light up. There is very limited articulation on this figurine. Only the head moves. The limbs, waist are all stationery. 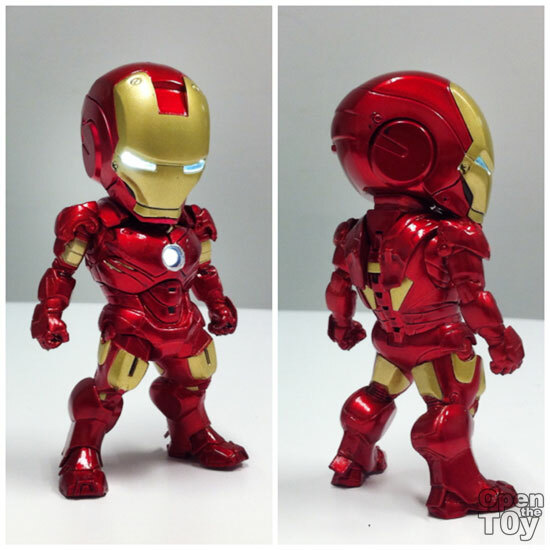 This IRON MAN Mark IV armor earphone plugy is handsome. The details are very nice and the light up feature is excellent. 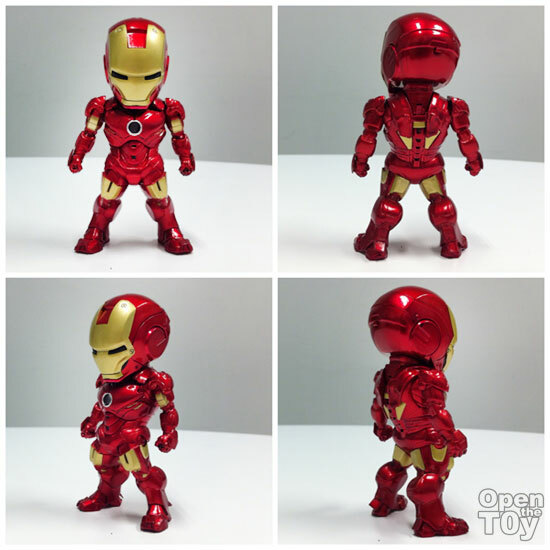 Although this is deformed style, it is still the IRON MAN we know and love. Thank you for YeeTat for sharing his collection review with us today.